While planning and organizing an event is not easy, the responsibilities related to the organizing increases tenfold when it comes to an event at your place of work. Regardless of if you have experience organizing events and parties, the fact is that every event ushers in a new set of challenges that forces you to think innovatively. In most of the scenarios, you are thrust in to the midst of the planning with a limited budget to work with, a few people to collaborate with and usually only a few weeks to have every aspect considered and decided on. The most critical aspect of the entire event; choosing the location should be the main priority. Talk to your supervisor on what type of event is being organized and if a location in the countryside fits better or if something in the city appeals better. There is also the issue that good locations will get booked frequently so it is best to decide on a location and make your booking as soon as possible. Booking the location at the last minute can put you in a difficult situation and the last thing you want is to host the company event at some dingy pub in a shady part of the town. The meal plan for the event can either alleviate the experience of the event or bring it crashing on your head. The most common solution for the meal plans is choosing a catering service to cover this aspect of the event. 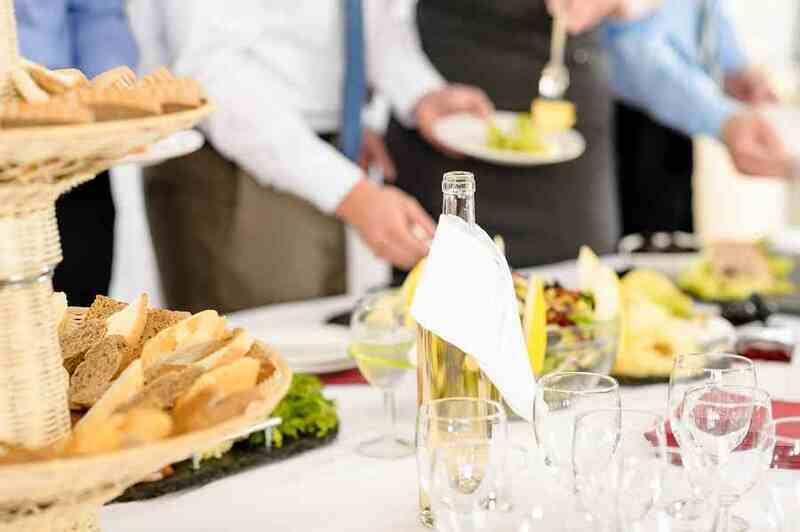 A quick research is sure to bring up plenty of companies that specialize in office catering. Take the time to read reviews or ask your friends and families about the companies before making up your mind on a particular company. Speak to the cookery services about your needs; most experienced companies will know what you want and maybe even offer you a better choice than what you have in mind. Pay attention to the food sampling sessions before settling with the final menu and it is advised that you take along someone else with you to assist you with the task. If the event is outside the city, make appropriate plans to transport the invitees from the office to the location. If the location is to be in the city, take measures to either choose a location that offers plenty of public transport or taxis even late night or make suitable arrangements so no one is stranded. Consult the management on any regulations regarding the use of alcohol at the event. If it is unrestricted, check if the company foots the bill on the drinks or if it is BYOB.